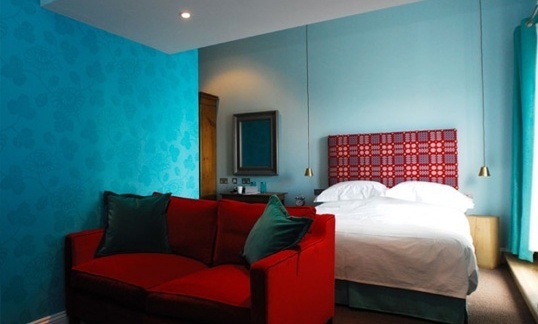 One of a new breed, a carefully created coastal hotel that’s cool, classy and contemporary. Great views and food at a lovely harbour side location. 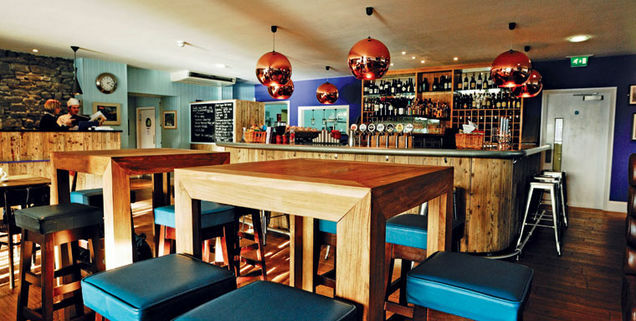 A refreshing mixture of styles– cosmopolitan, modern Welsh, maritime and metropolitan. Aberaeron’s harbourside is a sight not often seen in Wales, a Georgian-inspired cluster of dwellings painted all the colours of the rainbow. 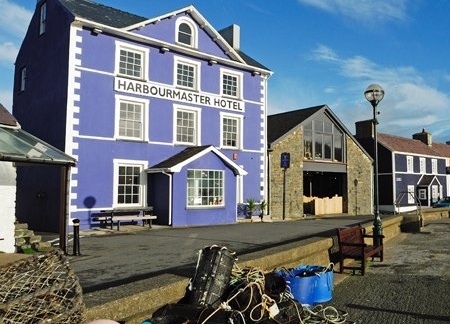 And there, at the entrance, is the most striking of them all, the Harbourmaster. The Grade II listed building once controlled the harbour traffic.